View the complete list of achievements and trophies that can be earned in Kingdom Hearts 3. While playing through Kingdom Hearts 3, you’ll earn a variety of achievements and trophies. A few of these are earned automatically as you progress through the story, though many have specific requirements you’ll need to meet. For gamers looking to get 100% completion in Kingdom Hearts 3, knowing what achievements to pursue can be extremely helpful. To get you started, we’ve put together a quick guide featuring all achievements and trophies in Kingdom Hearts 3. Note: Some of these achievements contain secrets and story spoilers, so proceed with caution! Below, you'll find the full list of achievements and trophies that can be earned in Kingdom Hearts 3. A New Journey (10): Begin your brand new adventure. Clash of the Gods (15): Adventure through Olympus and complete the story. A Wish at Twilight (15): Adventure through Twilight Town and complete the story. Inseparable Friends (15): Adventure through Toy Box and complete the story. Happily Ever After (15): Adventure through the Kingdom of Corona and complete the story. The Power of Laughter (15): Adventure through Monstropolis and complete the story. An Act of True Love (15): Adventure through Arendelle and complete the story. Way of the Pirate (15): Adventure through The Caribbean and complete the story. Making a Difference (15): Adventure through San Fransokyo and complete the story. Home Again (15): Adventure through the Hundred Acre Wood and complete the story. The Hearts Joined to His (10): Gather the seven guardians of light. No Matter What (10): Reunite with Kairi. The Battle to End All (40): Begin the final confrontation with Master Xehanort. Another Chapter Closed (60): Finish the game and view the ending. Hidden Kings (60): Complete the Lucky Emblems section of the Gummiphone. Know Thine Enemy (15): Complete the Adversaries section of the Gummiphone. No Stone Unturned (40): Complete the Treasures section of the Gummiphone. Synthesist (40): Complete the Synthesis section of the Gummiphone. One for the Books (15): Complete the Game Records section of the Gummiphone. Tall Enough to Ride (10): Use an attraction to defeat enemies for the first time. Heartbound (10): Use a link to defeat enemies for the first time. Grand Mage (10): Cast grand magic for the first time. Knight (10): Defeat 1,000 enemies. Bishop (15): Defeat 3,000 enemies. Rook (40): Defeat 5,000 enemies. Flanmeister (40): Complete all of the Flantastic Seven missions. Salvager (15): Use the gummi ship to obtain 20 unique treasures. Stargazer (15): Use the gummi ship to find and photograph all the constellations. Thermosphere (60): Destroy the Schwarzgeist, menace of the Ocean Between. Centurion (15): Score at least 12,000,000 pts. in Verum Rex: Beat of Lead. Festive Dancer (15): Score at least 70,000 pts. in the Festival Dance. Shield Shredder (15): Score at least 600,000 pts. in Frozen Slider. Datascraper (15): Get an A rank on both Flash Tracer courses. Dreadnought (40): Fully power up the Leviathan. True Captain (10): Sink 200 enemy ships in The Caribbean. Say Cheese! (10): Snap your first photo. Lasting Memories (10): Hold on to 50 photos. Cornucopia (15): Collect every type of ingredient. Full Course (10): Earn your first "Excellent" while preparing cuisine. Master Chef (40): Earn an "Excellent" while preparing every type of cuisine. Muscle Memory (10): Get a new high score in one of the Classic Kingdom games. Classically Trained (40): Get a new high score in every Classic Kingdom game. Blademaster (15): Obtain a Keyblade that is fully powered up. Ultima Weapon (40): Synthesize the Ultima Weapon. Leveled Out (40): Raise Sora to LV 99. As you can see, there are quite a few achievements and trophies to earn in Kingdom Hearts 3. To unlock them all, you’ll want to complete the story campaign, and gather collectibles like Lucky Emblems. Out of all the achievements and trophies in Kingdom Hearts 3, which one do you feel is the hardest to earn and why? Let us know down in the comments below! 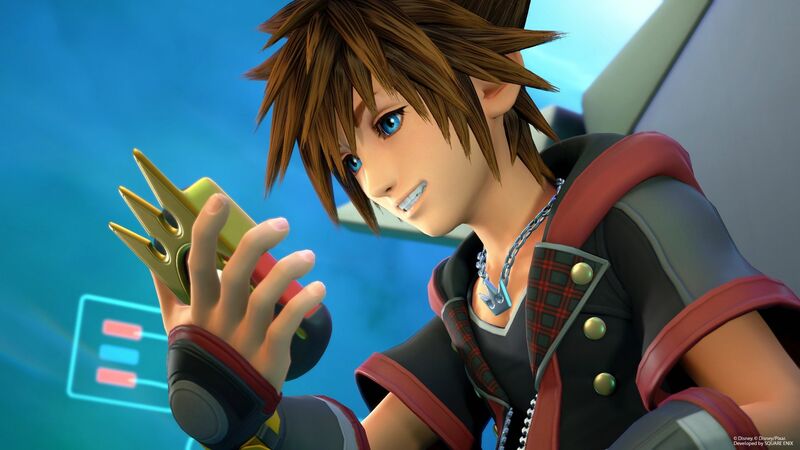 For more on Kingdom Hearts 3, be sure to check out some of our previous guides including how to get the Ultima Weapon in Kingdom Hearts 3, all keyblades in Kingdom Hearts 3, and how to unlock 100 Acre Wood in Kingdom Hearts 3.